Thank you for your purchase! I look forward to working with you. Before your session, please click the image and fill out the appropriate form below. and bring to your scheduled massage/energy session. 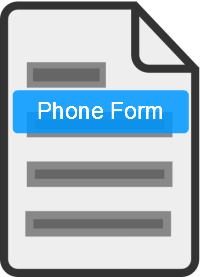 The phone consultation form is for long-distance energy sessions only. You can fill this out online and click the send button. 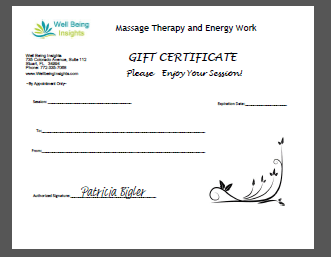 Gift Certificates can be mailed or emailed for you to download and print. Thank you for your prompt attention in this matter. This information will help me serve your needs with a better understanding.